CCTV footage was taken of the burglars. Image: BSR. Hampshire police are also looking into potential connections with as many as six other incidents in the county involving theft and criminal damage at solar farms. Officers responded to a report of a break-in to find a transit-style van leaving the scene, which they followed until stopping it on Monks Way, Eastleigh. Up to 40 spare solar panels are believed to have been stolen, and yet to be recovered, from Cubico Sustainable Investments, which owns the park. The offenders are thought to have cut the padlock of a gate to gain entry into the container in which the panels were stored. A 54-year-old man from Offenham, Worcestershire, was arrested on suspicion of conspiracy to commit burglary other than a dwelling with intent to steal, and failing to stop. In connection with the incident officers also arrested a 17-year-old from Yateley, a 22-year-old and a 27-year-old, both from Gloucestershire, on the following day. The arrests were made following an operation around rural areas in Basingstoke, west of Overton, led by the Hampshire Constabulary Country Watch team after landowners and gamekeepers voiced concerns about rising rural crime. Sergeant Andy Williams from the Country Watch team, said: “We know how devastating illegal activities, such as theft and poaching, can be to rural communities, and we regularly carry out operations targeting those who seek to benefit illegally from other people’s livelihoods”. 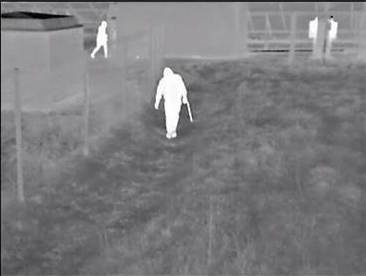 British Solar Renewables’ (BSR) Operation and Maintenance (O&M) team helped catch the burglars from a site they manage, suspecting that the intruders were scoping out the park for a break-in, which they later did. The arrests were made alongside officers from the Joint Operations Unit, Basingstoke Neighbourhood Policing Team and the Roads Policing Unit. All suspects have been released from police custody but remain under investigation.